Time for me to share some still alive and kicking music. 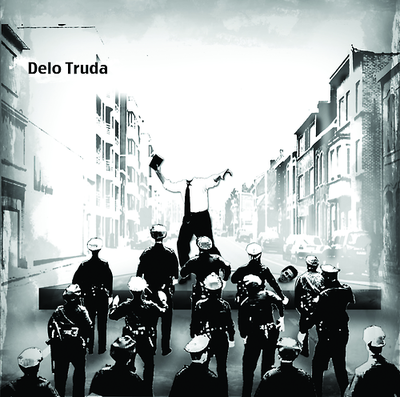 Canada gave birth to "No Alarms" in 2008, but 2010 brought a name change into "Delo Truda". Named after a Russian Anarchist publication meaning "workers cause", this four-piece screamo act brings us an excellent 18 minute four-track self titled release. Quite an excellent mix of slow, mid and fast tempo melodies, as well as the fact that they like making both fast three minute songs as well as "epic" seven minute monstrosities. Great song composition, pace changing and dual vocals...what more could you ask for? The main reason I'm posting this is because this band is still young, despite it's formation in 2008, and still a lot of people haven't even heard about them. Give them a try, you won't regret it!